Starfleet and Starfleet Command were established by the Council of Admirals in the FC Constitution with the purpose of providing a stable gaming community within FC. As stated in the FC Constitution it shall consist of all officers of FC, regardless of rank. This document hereinafter refered to as the "Starfleet Charter" is designed to outline all Starfleet policies and procedures as lawfully promulgated hereto govern Starfleet. This Article hereby creates The Quadrants (Sectors) Of Starfleet. FC shall consist of two sectors, the Alpha Quadrant and Delta Quadrant. All quadrants fall under the command of Starfleet Command. Officers can be a reserve for more than one fleet, but will serve in only one assigned fleet. 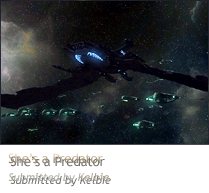 The Alpha Quadrant is primarily designed for Star trek Online players. The Delta Quadrant shall support all trek games apart from Star Trek Online. Starfleet shall be commanded by two officers; the Starfleet CO and the Starfleet XO appointed or unappointed at the Fleet Admirals discretion. Starfleet Command's mandate is to oversee and "macromanage" the operations of Starfleet as a whole and to give strategic guidance and command support to Fleet Command on how to manage Starfleet's assets. The Starfleet CO and Starfleet XO are the highest and second highest authorities in Starfleet respectively unless otherwise stated. The Starfleet CO will report directly to the Council of Admirals when a fleetwide situation arises. The Executive Committee and Council of Admirals are considered to hold command authority over Starfleet in all matters pertaining to Starfleet, and may exercise this power at their discretion. The Starfleet CO is expected to maintain integrity, activity and interest at the Fleet Command level, as well as give advice and form good working relationships with those under his/her command. The Starfleet XO is expected to assist the Starfleet CO with the above as needed, as well as to help Fleet Commanders with their day to day tasks as needed or requested more as a colleague than a commander. Each Fleet shall be commanded by up to two officers, with a "Fleet CO" and optionally a "Fleet XO" who are the highest and second highest authorities in their assigned Fleets. These positions shall be managed and maintained directly by Starfleet Command. The Fleet CO is expected to maintain integrity, activity and interest at the Squadron Command level, as well as give advice and form good working relationships with those under his/her command. The Fleet XO is expected to assist the Squadron CO with the above as needed, as well as to help Squadron Commanders with their day to day tasks as needed or requested more as a colleague than a commander. The squadron XO is required to help assemble reports to the Fleet XO or CO with the Squadron CO as requested by Fleet Command. The Squadron CO is expected to maintain integrity, activity and interest at the Squadron level, as well as give advice and form good working relationships with those under his/her command. The Squadron XO is expected to assist the Squadron CO with the above as needed, as well as to help Squadron officers with their day to day tasks as needed or requested more as a colleague than a commander.